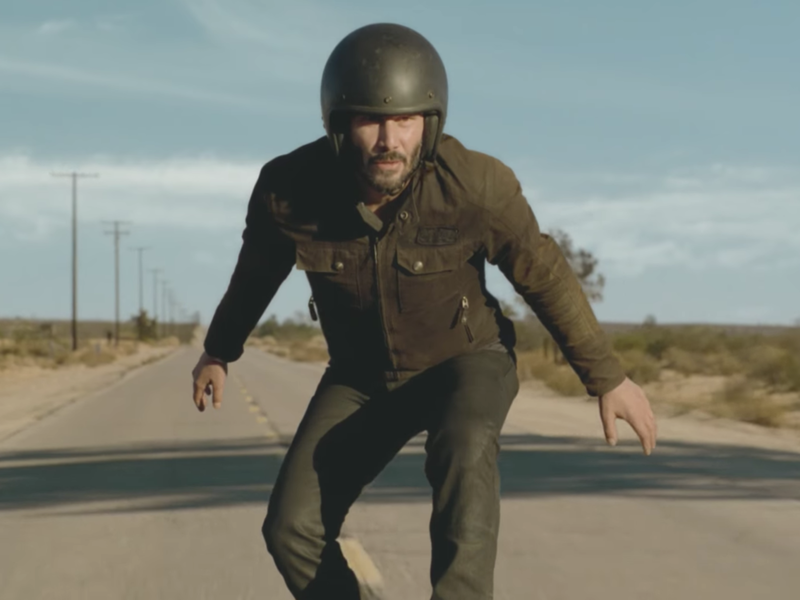 Keanu Reeves surfs a motorcycle in the Super Bowl Squarespace commercial. Squarespace and Keanu Reeves teamed up for an epic 2018 Super Bowl commercial. The ad features Reeves surfing a motorcycle down a desert highway. And yes — he really pulled off that stunt on his own. The ad is set to an '80s song called "Adventures in Success" by Will Powers. Reeves co-founded his own motorcycle company, Arch Motorcycle, six years ago. The movie star is a Squarespace customer, and manages the Arch Motorcycle website. "There's something about Squarespace that's really accessible yet sophisticated," Reeves said in a press release. "The design and functionality share a similar ethos to Arch Motorcycle. When I was approached to make this commercial, we were already using the platform, which makes it a really organic fit." Watch the ad that will play during the coming Super Bowl below. You can also watch two other extended Squarespace commercials. The video feature Reeves's iconic deadpan comedic timing and fun visuals of him making s'mores and throwing his laptop into a bonfire.